The Golden Retriever is the perfect family pet and companion. 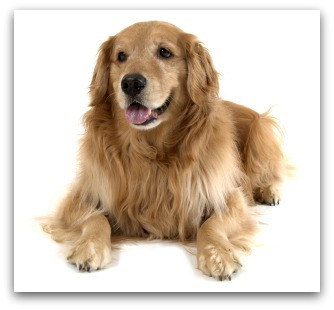 Golden is a very popular breed, sturdy, loving, eager to please, and gentle. Golden Retriver originated Scottish Highland, has a beautiful golden coat, and bred as a water retriever and a hunter. Golden dog's history, probably to 1865, when the shuttle when the Scottish popular hunting, so good hunting of wild animals on the popular medium-sized dog. In the early of time, Lord Tweedmouth wish to have a dog was kind, loyal and energetic, so he developed a dog by crossing original yellow Flat-Coated Retriever and been extinct Tweed Water Spaniel, become Golden Retriever nowaday. The Golden Dog Breeds was recognized by the AKC in 1925. The Golden Retriever is a medium to large size sturdy dog breeds. The Golden has a double coat that is weather resistant or water-resistant. The dense hair coat , the hair or wavy hair to smooth hair, hair of its rich decoration. The legs and tail are covered with longer hair. The coat color is rich with golden colors to cream colors. 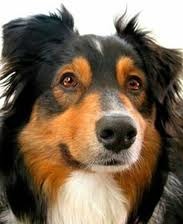 They is a easiest breeds to train, the breed needs a mental stimulation and a challenge of training. A bored Golden will get into bad trouble, so it always need a training to keep it happy nature attitude. Should start training the household rules and correct social behaviour when golden was just a puppy. The Golden Retriever requires daily exercise, in addition to running outside, swimming is also good, preferably with same water with your dog. Ear especially must be kept dry to prevent infection. The Golden requires daily and brushes with bristle brush, and they need to be regularly dry shampoo. Some golden are on the salt sensitive, after swimming in the sea, must going to wash away the salt body as soon as possible. 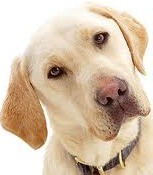 Golden Retriever are a excellent family dogs, they are the world's foremost family pet and companion. The Golden is a loyal and devoted dog, This dogs love company people. They get well with children and other pets as well.